Are you interested in studying abroad in the future? Would you like to spend two weeks in another country with a Valencia class? 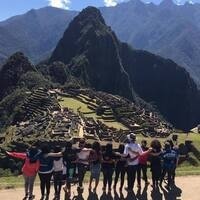 Have you considered studying abroad for an entire semester or year? Come learn more about studying abroad! Information includes 2019 short-term programs, semester abroad, and scholarship opportunities.